These fabric trimmers are designed for left handed people. 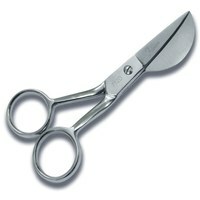 Famore scissors are specifically designed for cutting an array of fabrics. 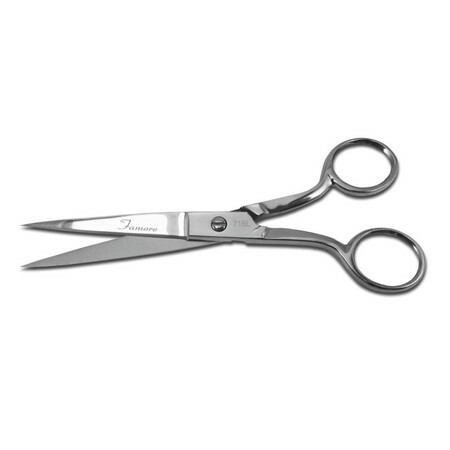 Hand-crafted from high-quality stainless steel, Famore scissors are built to last. 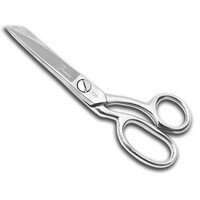 The razor edge cuts fabrics like a knife through butter; all the way to the tip. 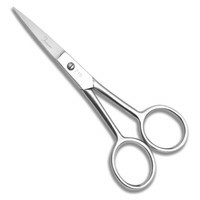 The comfortable design allows you to cut for longer periods of time without hand fatigue. 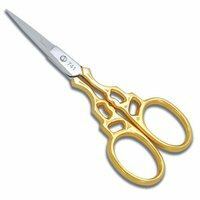 Complete all your sewing, quilting, and crafting projects quickly and easily.